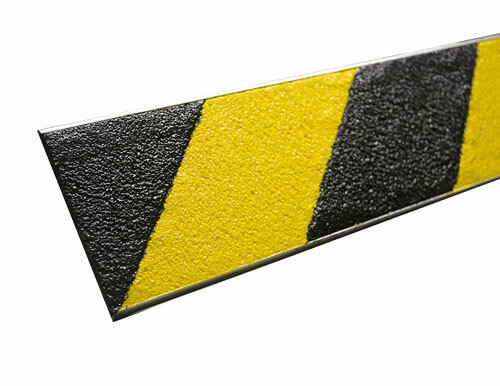 The 3.5″ hazard plate for flooring is the first in our line of BOLD STEP® Patented Hazard Safety Plates and are a great way to ensure safe footing. We have installed these anti-slip flooring plates in many buildings and structures such as train stations, theaters, auditoriums, schools, office buildings, sports stadiums, and parking facilities. They work well indoors and outdoors, in new construction or renovation projects, and are ideal for industrial and commercial applications in dry, wet or oily conditions. Sure-Foot is an industry leader in non-slip flooring solutions, with safety plates designed to meet or exceed recommended values for slip resistance on wet and dry surfaces. Created with safety in mind, our products surpass illumination requirements.